A South Waikato teacher accused of sexual abuse and supplying drugs to a child at a Maori immersion school has pleaded guilty to 11 charges. 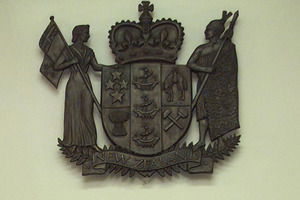 Rueben James Parinui Tapara, the former assistant principal at Te Wharekura O Te Kaokaoroa O Patetere, a Putaruru Maori immersion school appeared via audio visual link at the Hamilton District Court today. He entered guilty pleas to four charges of indecent assault, three charges of sexual violation, two of doing an indecent act and one of supplying or selling cannabis. The 30-year-old was remanded in custody to reappear in the Hamilton District Court for sentencing in February. Tapara was a teacher at the school for about three years until his arrest in October. He was fired from his job two days later.